Slightly sweet and moist with a crunchy crust. 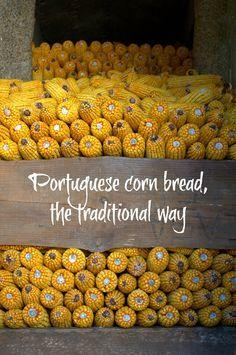 That’s the way I like my broa, aka traditional Portuguese corn bread. Broa is often served in the basket of bread you get served with olives in restaurants. Portuguese corn bread is more dense and filling than ordinary bread but, when freshly baked, is oh so satisfying and tasty. When I was offered the chance to learn how to make it, I jumped at it, although I know I won’t be trying it at home*. Partly because I’m not very good at it and partly because I lack the wood-fired oven that adds to the flavour. 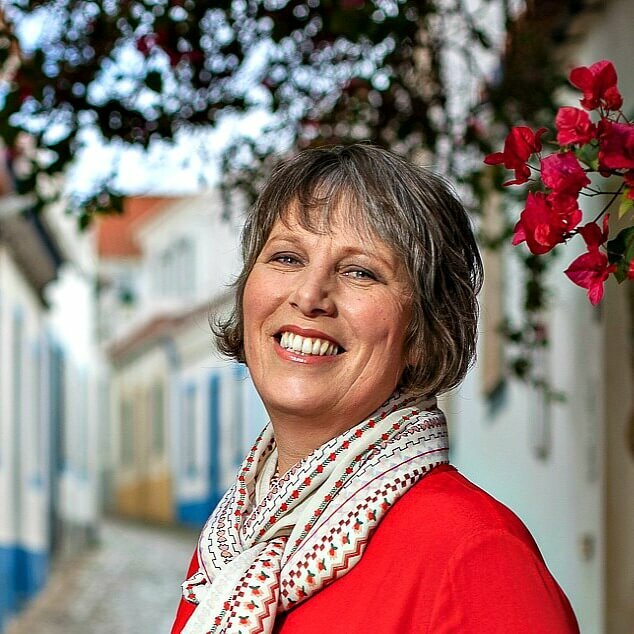 *If you want the recipe, you’ll find it in Taste Portugal, one of these 5 books about Portuguese food. As I enter Carmen’s smoke-blackened kitchen, my eyes take a little while to adjust to the gloom. They then sweep the room, taking in the leg of ham and the gnarly curl of chouriça sausage (used to flavour soups) dangling from the rafters next to an open wood fire with a black pot on top, the broom made with a bundle of dried twigs, the wood oven and the simple sink and array of utensils. The place where I’ll be working is a large wooden trough. Following Carmen’s instructions, I scoop out measures of yellow corn flour from a sack and deposit them in the flat round seive. The remaining husk debris is not wasted; it goes into the bucket of food scraps for the chickens. I mix in some wheat flour and salt with my hands then stir in warm water with a giant wooden spoon. Carmen points to a patch of dry flour in the corner of the trough and, eager to please, I renew my efforts to mix it all in. Until the spoon snaps! I don’t know my own strength. Next comes the scary part. After coating the ball of dough with flour, I’m supposed to toss it a few times on a flat wooden paddle. It’s harder than it looks and I barely manage to make it flip once. Being a naturally clumsy oaf, I’m also worried I’ll drop it on the floor so I let Carmen take over. In the meantime, she has shovelled the glowing charcoal out of the oven onto the open fire and swept the oven clean with a twig bush. I take the paddle from her and deposit my broa in the oven, swiftly closing the metal door to keep the heat in. But my work is not yet done. Carmen hands me a bowl of mud paste and a flat trowel. Her twinkling eyes notice my confusion and she shows me how to seal the oven with the mud to stop any heat escaping. While we wait for my Portuguese corn bread to cook, Agostinho, founder of Descubra Minho and my guide for the day, and Aventurinhas, the best kept donkey these mountains have ever seen, take me on a walk through the village to learn about the work that goes on in order to get the corn flour and admire the mountain scenery of the Serra d’Arga. I’m far too big to ride the donkey but if you have kids, they can take turns as part of the tour. Fields of corn are a common sight in Portuguese villages and Espantar is no exception. It’s October when I visit so the harvest is over and the stone grain stores are stacked with golden cobs. Conical corn stacks enable the villagers to preserve the stalks for fodder while in other fields, the plants are left standing. Agostinho points out what initially looks like a double letter box at the entrance to one house. One slot is labelled ‘cartas‘ and is for post, the other has the word ‘espigas‘ (cobs) etched in black. In times gone by, villagers would donate a cob of corn from their crop as they passed this house to bring good luck. The collection would be distributed to or sold off to support those in need who had no crop of their own to rely on. These days, the inconvenience of stopping the tractor to post a cob of corn plus the convenience of daily bread van deliveries means the practice is all but dead. The system for distributing and allocating water supplies is still very much alive. We walk through the woods to reach the main source, the Âncora River, and follow the levadas (irrigation channels) back to the village. They were originally made from slim slabs of local granite but have since been reinforced with concrete and cement. Agostinho stops at a junction to block off an outlet that’s no longer needed now that the summer is over. During the dry months, the lack of rain means that water from the levadas must be shared fairly between the villagers. The Relógio do Sol (sun dial) is a stone clock near a pond at the entrance to the village of Espantar. The day is divided into four, with changes to the flow of water being allowed at 12 o’clock and 6 o’clock. In order to claim their water supply, a family member has to appear at their allotted time and go to the levada to block off the supply to their neighbour’s fields. Of course, the sun clock has long been redundant but the practice continues. There’s even a bench where villagers sit and wait their turn. Having arrived back in the centre of the village, it’s time to see how the old stone water mills work. 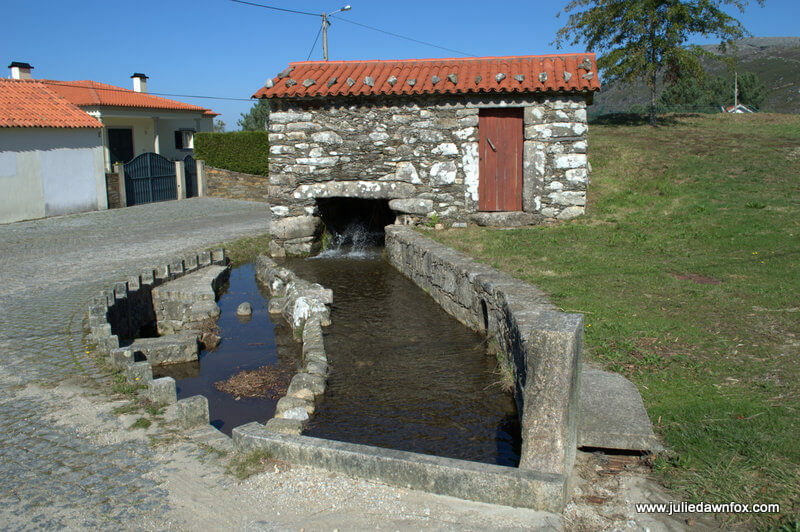 Agostinho increases the flow to his family’s mill, creating enough hydro power to turn the circular granite mill stones. He shows me how to use the levers to release corn between the stones and to start the wheels spinning. Aventurinhas, who has been tied to a post for this bit, is none too happy and we give in to his bellows to lead him back to Carmen’s house. By this point, my Portuguese corn bread is cooked. I let Carmen smash the caked mud from the oven but it’s my job to remove the broa. It looks the part. I settle down to the indoor picnic feast that Carmen has prepared and tuck in. The broa is a little too moist, perhaps, but pleasingly crunchy on the outside. With home made chouriço (paprika sausage), presunto (cured ham), fig jam and a salad, washed down with some vinho verde (young white wine), it’s a satisfying and tasty lunch. If you’d like to try your hand at making Portuguese corn bread the traditional way and explore the traditional villages and natural beauty of the Serra d’Arga mountains, contact Agostinho at Descubra Minho, who made this day possible for me. Here’s the link to the corn bread experience. 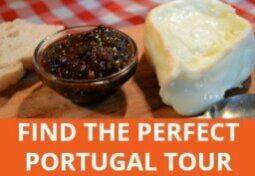 If this particular experience doesn’t appeal, Agustinho runs a variety of tours in the Serra d’Agra mountains he grew up in and the wider Minho region of northern Portugal. 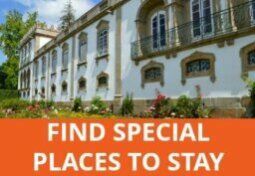 Transfers from nearby towns like Caminha, Viana do Castelo and Ponte de Lima can be arranged. 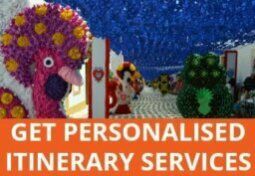 If you use the code JULIE in the contact form or your enquiry email, you’ll get a 5% discount on any tours you book with Descubra Minho. You can also make traditional corn bread in the Peneda-Gerês National Park with this tour. We’ll be coming to Lisboa shortly and I made some broa here tonight – the only reason I know about it is from reading your very informative site! I love seeing the traditional way of making it you’ve shown here and am so looking forward to trying some during our visit! We have grown them .. .but if you have any maize growing Portuguese nearby their pollen ruins our corn, and if we grow F1 hybrid corn …………… it ruins THEIR crop and boy are we unpopular, quite understandably ! We are very careful now we know ! Your writing is skilled, entertaining and informative. As an American who grew up in the South, someone considering the idea of traveling extensively or perhaps living in your lovely adopted nation, this celebration of Portuguese cornbread might well be the tipping point. Thank you, Mike, for taking the time to leave such a lovely comment. You’ve made my day! You should definitely come to Portugal to try the cornbread and see for yourself what a great place it is. I come from Missouri with Family ties in Alabama. We know a few things about Corn Bread. Broa looks like a whole new and tasty experience. I think I’m going to like Portugal. Great post Julie! Hi Anita, hope you settle in quickly so you can get out and about. Luckily for you, broa is popular throughout the country so you can tuck in! It’s: São Vicente te acrescente, São Mamede te alevede e São João faça bom pão. Thanks, Diana – I’ll change it! OMG Julie, now I would love to eat some broa!! I used to love broa stuffed with sardines or with codfish. Amazing! !